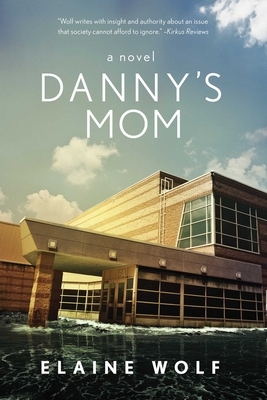 Friday Night Lights meets Ordinary People when Beth Maller returns to her job as a guidance counselor at Meadow Brook High School shortly after an unspeakable family tragedy. Railing against the everyday injustices she had overlooked until her world cracked apart, Beth stirs up the moral battles being waged in her school, where administrators cling to don’t-rock-the-boat policies, homophobia snakes through the halls, and mean girls practice bullying as if it were a sport. As Beth struggles to find her new normal,” she must learn to speak outrisking the very life she’s embraced. Danny’s Mom demonstrates what really goes on behind the closed doors of our schools and our homes. This unforgettable novel illustrates who’s really responsible when our kids get hurtand why it’s so important to find the strength and courage to do the right thing, no matter what. Elaine Wolf is an award-winning writer and the acclaimed author of Camp, a young adult novel (Sky Pony Press). Now well-known as the anti-bullying novelist,” she once worked as a high school teacher and public school district program administrator. The world she writes of is one she is passionate about and knows well. Elaine lives with her husband in Northampton, Massachusetts.